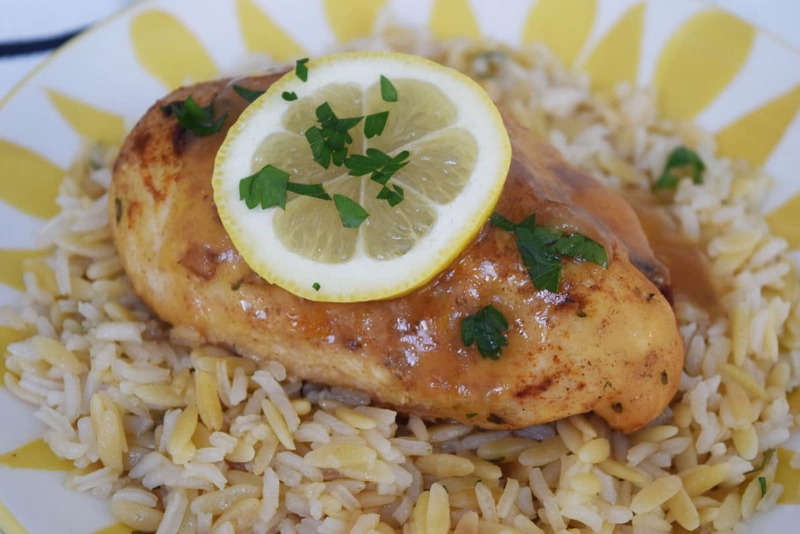 This Instant Pot Lemon and Garlic Glazed Chicken is a tender pressure cooked chicken breast recipe infused with lemon and garlic. 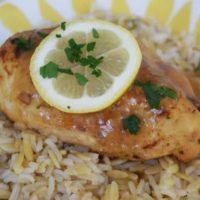 If you are looking for a quick and easy chicken recipe that is flavorful and juicy look no further! Dinner will be on the table in a flash! About a week ago I decided it was time to bring this wonderful Instant Pot into my life. It has me reminiscing of being in my grandmother’s kitchen. Can’t you just hear that whistling sound her pressure cooker used to make and the smell of her famous Swiss steak? Takes me right back to sitting at her table in their row home in Baltimore and watching her moving around the kitchen preparing us a meal. One of the things I love most about food is the memories associated with each meal we enjoy. Aside from all the new dishes that will be created with this Instant Pot; I am thankful that each time I cook in it, these beautiful thoughts of my grandmother and our times together in her home come flooding back. 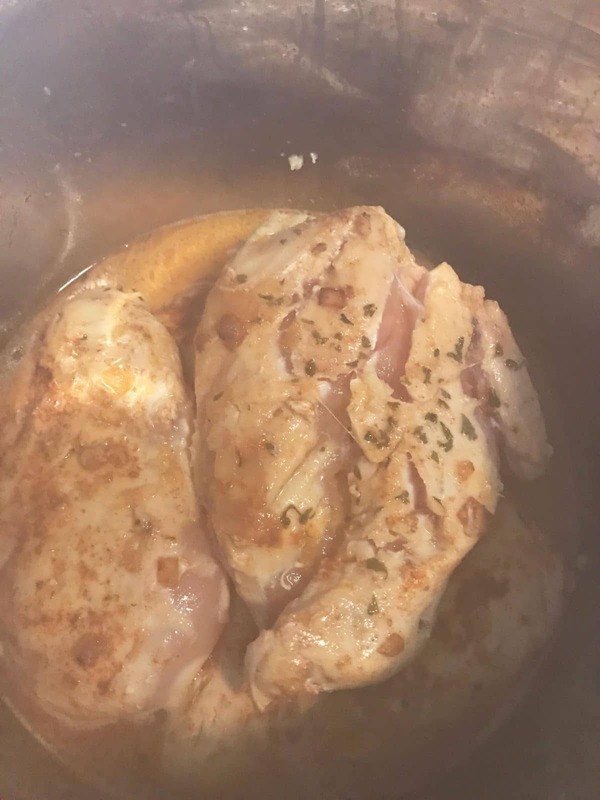 Okay, back from my walk down memory lane….. Now about this Lemon and Garlic Glazed Chicken and cooking it in the Instant Pot. To say the least I was a little skeptical of the texture. But I am glad that did not stop me from giving it a go – because that fear is now gone!! 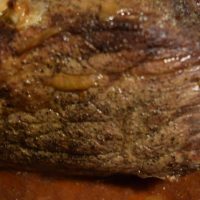 It came out so tender and the texture was perfect! Don’t you just love lemon and garlic with chicken? The acidity in lemon brings such brightness to the dish. Then there is garlic!! Glorious garlic!! Is there any other choice in life but to add garlic? NOT! Not sure there are many days that go by that cooking doesn’t have this wonderfulness included! Garlic is healthy right! That is a great excuse! First get organized and gather all your ingredients. Season the chicken on both sides with the salt, paprika, parsley and garlic. Next turn the Instant Pot on to saute and add the butter, and onion. Get them nice and translucent. Add in the chicken two at a time and brown on each side. Once they are browned, remove to a plate. Add all of the rest of the ingredients, except the cornstarch, and give a little stir. Put chicken breast back in the. Put the lid on and lock it. Make sure the steam valve is shut. Press the poultry button and wait 15 minutes for perfection. Once it is done. Put the chicken on a sheet pan and put under the broiler a minute or few. Just keep an eye out. You can skip this step. I like mine to be browned just a tad. Meanwhile with your other eye. Turn Instant Pot to saute. Scoop out 1 to 1 ½ cups of the drippings (with a measuring cup) and slowly add the cornstarch and stir like crazy to get a slurry, well really a little thicker than a slurry. Don’t fear, if it seems thick there are a lot of juices in that pot and you want it thick enough for a glaze. Once it’s smooth, pour back into instant pot with the rest of the drippings and stir until combined! This is a magic sauce – YUMMO! By now the chicken has been removed from the oven, time to plate and drizzle with all the beautiful glaze. The hubby was working late so back into the Instant Pot the chicken goes. Set it to warm and it is ready to get all cozy in all that glaze. And man, that was good too. Either way you cannot go wrong. If you are not keeping warm make sure to turn off your Instant Pot. Serve with rice pilaf and a garden salad and you have a perfect meal! Chicken Breast Dish done in 30 minutes from start to finish! Yes – Score! Easy meals that are quick and tasty are always a BIG WIN ! 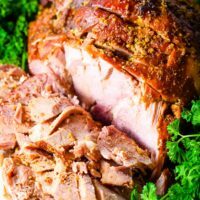 Recipes you may also love! 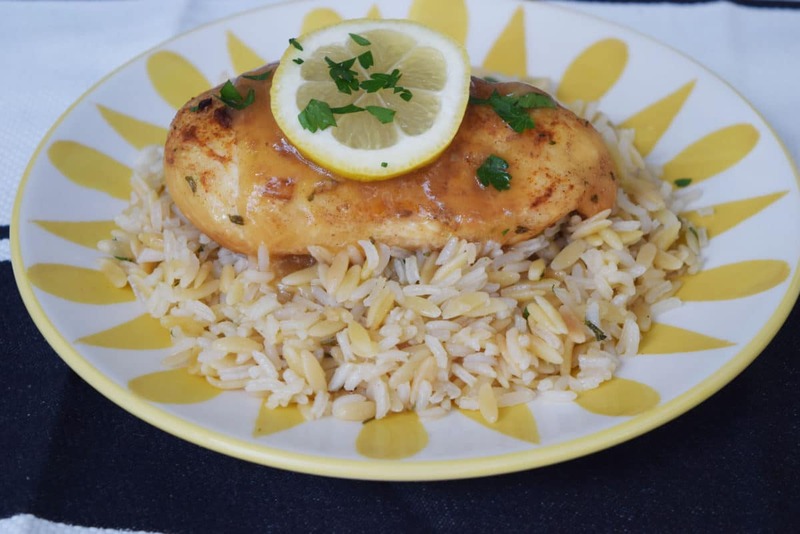 This Instant Pot Lemon and Garlic Chicken is a tender pressure cooked chicken breast recipe infused with lemon and garlic. 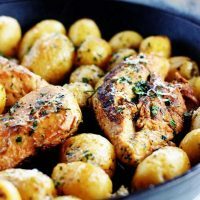 While pressure cooking a perfect sauce that becomes the most delicious glaze will top this delicous garlic chicken recipe. Cook the onions for 3 to 5 minutes or until softened. Stir often. 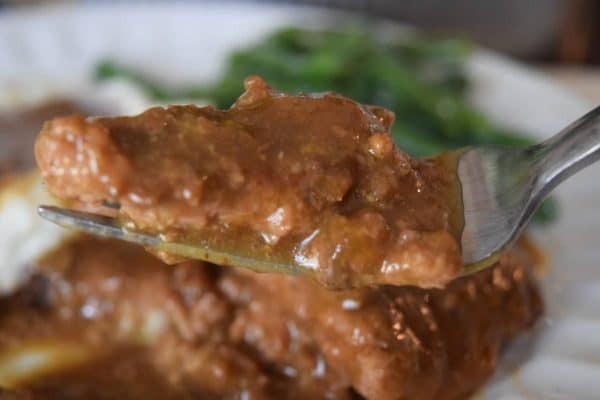 Add to Instant Pot two at a time and brown on each side. Remove chicken to a plate. Add the remaining ingredients except for the cornstarch, to back into the Instant Pot and stir. 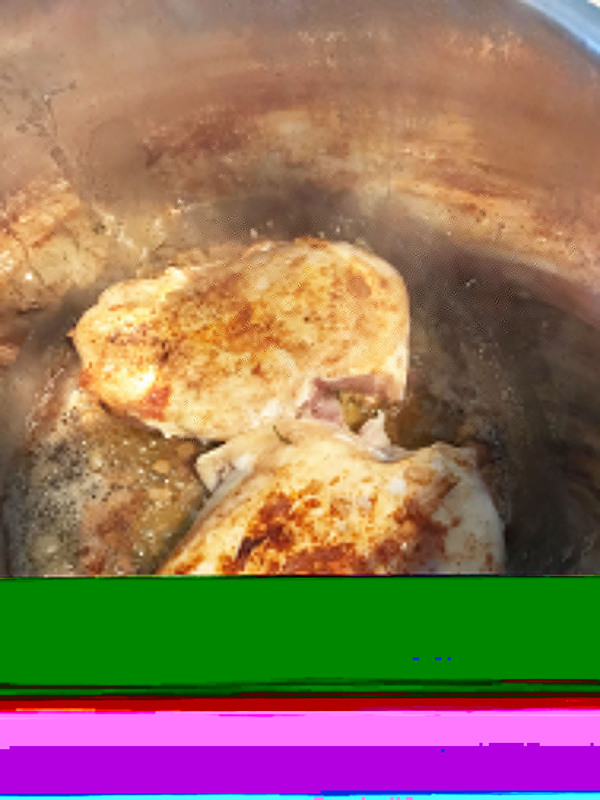 Add the chicken back in to the Instant Pot and turn to locked position. Select the “Poultry” setting (This is a 15-minute high setting) and make sure your valve is in the closed position. Remove chicken to sheet pan. Place in oven and broil 1 to 3 minutes. Watch to make sure they do not burn. Remove when browned to your liking. At this point you may thicken your sauce by making a slurry. To do this remove about 1 to 1 1/2 cup drippings from the pot, add in the cornstarch, stir until well combined. Stir slurry into rest of drippings and serve right away. You can also find this on one of my favorite link ups – Weekend Potluck and Meal Plan Monday! I made this this evening and nothing was left! I used chicken tenderloins instead because that’s what I had. I put all the chicken in the pot and sprinkled the seasoning on while it browned. The chicken came out perfect! Will be making this again!! I am excited to try this. 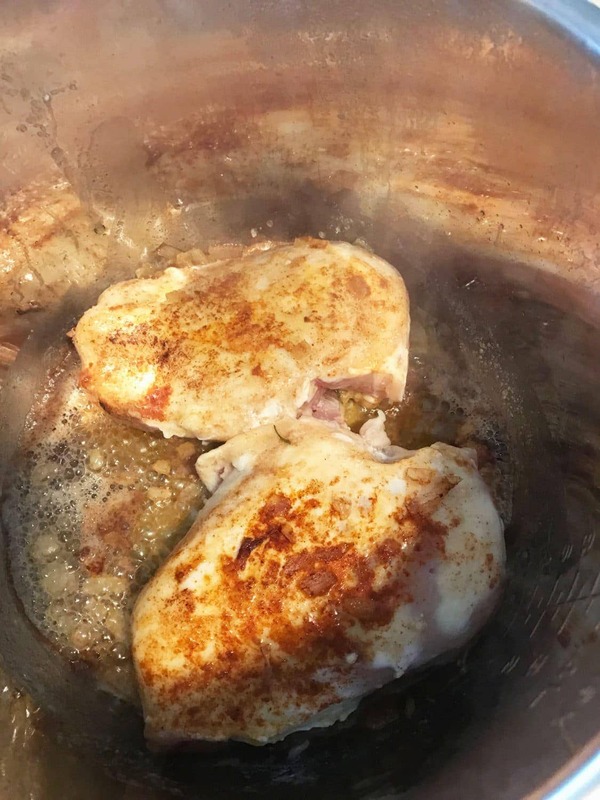 I have made other Instant Pot Chicken Recipes before using the Chicken setting, and I have a question. Does the chicken get stringy and overcooked? I have used the Chicken setting before and was very disappointed with how stringy it got. But I didn’t release the steam manually in those recipes. I just allowed for a natural release by allowing the chicken to sit in there and maybe that caused it to overcook? I have read that doing a manual pressure release can cause meat to get tough. This isn’t the case with this recipe? I am so thankful that I found your website. This dish is amazing. The sauce is incredible, my chicken turned out perfect. It tastes better than something I would order at a restaurant. Thank you for a great recipe. Use chicken broth/stock or water to sub for the wine! I’ve made this several times. The chicken is always moist and delicious. I’ve made it exactly as written and also with capers added at the end. 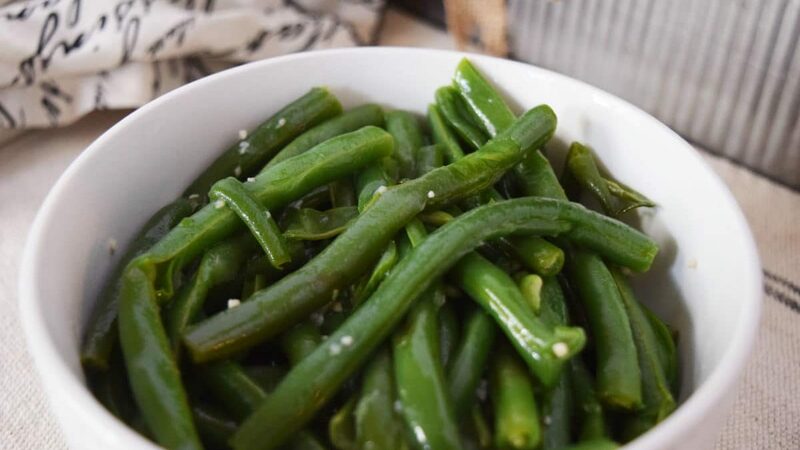 Our favorite side pairings are green beans and brown rice. Thank you so much for stopping by Diane. I am so thrilled to hear from you! My family loves this one! I love how moist it turns out too! Adding capers sounds wonderful, I just cant get boys (My hubby and son) to eat them. I would so enjoy them though! 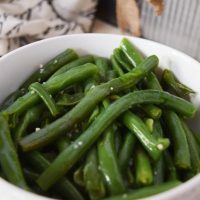 This does pair perfect with green beans and rice! You should try my Crock Pot Muenster and Mozzarella It is so delicious too! Come back by and visit soon! Just tried this and it came out great!!! I added mushrooms and skipped the wine. I am so glad you enjoyed it! It’s a family favorite!! Oh I have to throw in some mushrooms next time I make it! That sounds delicious! 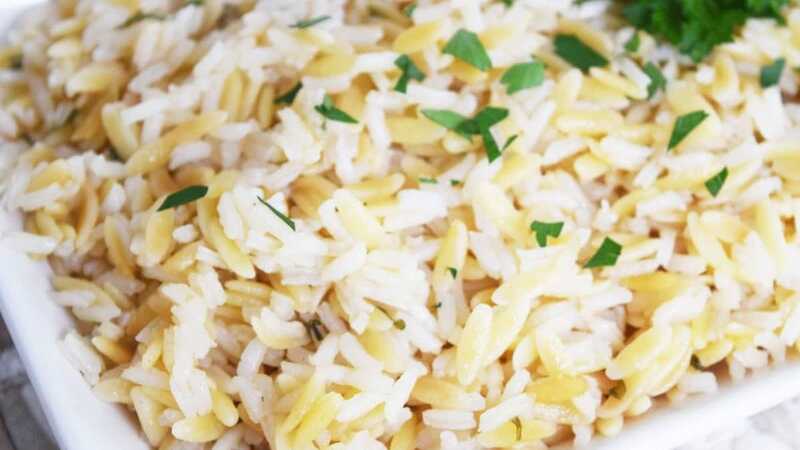 Is it possible to put the uncooked rice in the instant pot with the chicken and cook them together? I’m waiting for my Instant Pot to arrive in the mail today! Bought everything to make this as one of my first IP meals! I made this tonight and our 3.5 year old who has never enjoyed eating rice or chicken gobbled this up! Thank you! Very simple and delicious! Will definitely be adding it to our favorite dishes!!! p.s.Only change I made was using 1.5 TBS of arrowroot instead of cornstarch. I am so glad you enjoyed this and if it’s 3 year old approved then I am over the moon happy! Thank you so much for stopping in a letting me know. I love to hear from readers and hope you will come back again and keep in touch! This meal was so delicious. I just was wondering if you know the calories and fats and carbs? You know trying to watch what I eat. Stephanie, Thank you so much! It is a favorite at my house too! I am so sorry but I do not track them for my recipes. There are programs online and probably an app or two that will help you determine that information for recipes you cook! Thank you for stopping in to let me know you enjoyed it! I hope you try more recipes and come back and join me again soon! OK I am confused by steps 5 and 6… seems to read that yo remove the chicken from the IP and cook the other ingredients on Poultry? I am so sorry! I have corrected the steps to be more clear. Remove chicken after saute. Pour in remaining ingredients, except the cornstarch, and stir. Then add chicken back in. Thanks for checking in and I hope you enjoy!! Have you made this with frozen chicken breasts? No, I haven’t used frozen with the instant pot yet. I would try adding 5 minutes. Just keep in mind it will take longer to come to pressure. 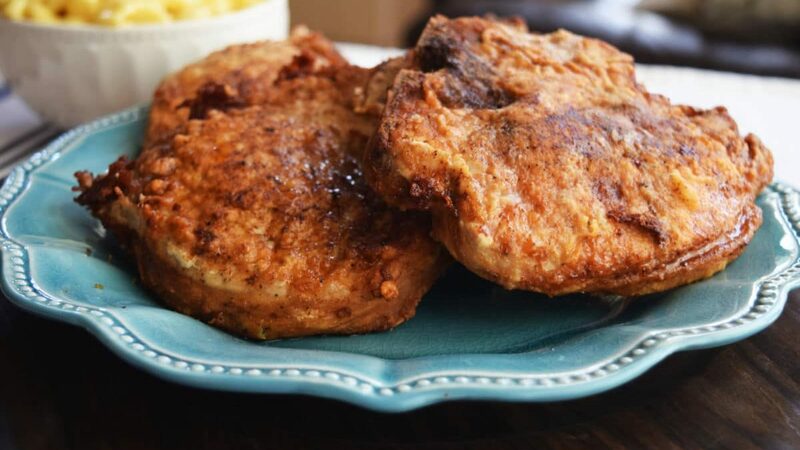 Is this cook time for bone-in chicken breast or boneless? I used boneless skinless breasts. There should be no issue with doubling this at all. Hope y’all enjoy!! Let me know how it turns out! What book are you reading? My book club can’t seem to find the time to get together lately! Would you double the time or only ingredients? If you are wanting to double the recipe. I would just double the ingredients. It should cook the meat in the same amount of time for a doubled recipe. You can always check after cooking and put it back in for 10 minutes if not done. Thank you for stopping by and I hope to hear from you again soon! Let me know how it turns out for you! I didn’t have wine so I used more chicken broth. I did everything else the same, but I used about 1.5 tablespoons of arrowroot starch instead of cornstarch to make it paleo. It was so delicious! My extremely picky boyfriend said “this needs to be a weekly meal.” My toddler also gobbled it up. Thank you for this yummy recipe! This sounds so good! I’d love to make this tonight, but I (gasp!) don’t have any wine. Is there anything I can sub for the wine with similar results? Pinned!! This sounds A-MAZING! YUM! Thank you so much! I look forward to sharing some great recipes and more with you! I will head over and share! I have GOT to get an Instant Pot! I’ve been seeing so many awesome recipes and it seems like such a time saver! I am so glad I did. I did not have a pressure cooker though. It could be made in that as well or on stove top cooked a little longer until chicken cooked through. I have yet to pull the trigger on getting an instant pot. I love my traditional pressure cooker though and think this could work wonderfully in it! Absolutely. Just brown, if desired, on the stove-top and finish sauce on the stove. Cook in pressure cooker on high for 15 minutes. Enjoy! I do like an easy, quick meal that offers food flavours and goodness. The garlic and lemon is a great mix, totally agree with that. Perfect for chicken. Sounds like a really tasty meal. Thank you Helen! Quick flavorful meals are my favorite to make! I really need to check out the instant pot. My Mom used a pressure cooker growing up so this brings back memories to me as well. Lovely looking recipe! Thank you Stephanie! I really love it so far! I can’t believe I have gone this long without one! I’ve got to get an instant pot! This chicken looks incredible! Thank you! I was really surprised at how delicious it turned out in the IP! I am loving mine and looking forward to creating more dishes to try! You are welcome Donna! Thanks for stopping by! You could make in a pressure cooker also on high pressure for 15 minutes or also on the stove top. Just cook until chicken is done based on thickness of cutlets. Then remove and add cornstarch as directed.